I am Michigan personal injury attorney Paul Whiting. 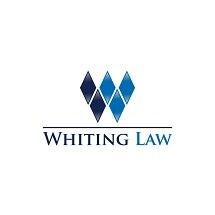 My law firm, Whiting Law, is based in Southfield and serves clients in the Detroit metro and throughout the state. If you have been injured by the negligence of another party, you can count on me to fight for maximum compensation for you. You can also count on being treated like a valued individual, not a mere case number. I also assist clients with Social Security Disability Insurance (SSDI) and Supplemental Security Income (SSI) applications and appeals. I am a member of the Million Dollar Advocates Forum and hold a 10.0 "Superb" rating from Avvo. I have also been listed in Michigan Super Lawyers magazine every year since 2009, named a Top Lawyer in DBusiness Magazine in 2012 and listed in the National Trial Lawyers Association's "Top 40 Under 40" in 2012. Whiting Law offers free initial consultations and contingency fees. The Southfield office is easily accessible and located right off of 696 and 1010. Evening, weekend and off-site appointments are available by request. Se habla español. Unfortunately, personal injuries happen—a lot. In Michigan alone, thousands of residents suffer injuries due to someone else's wrongful actions, whether intentional or not. Our passion is to help those who are victims of these types of accidents. No matter where you are in the process of investigating whether you qualify for social security disability benefits, we can help. What is "no fault" coverage? It means that everyone who has insurance can receive a benefit, no matter who is at fault in an accident. Car crashes can mean a slight inconvenience, a significant change in health or lifestyle or even loss of a life. Wrongful death cases are initiated because someone didn't do his or her job, was distracted, was incompetent, or acted irresponsibly in some way.